Published October 14, 2013 at 325 × 212 in Motorcycle Photo Gallery. Picked up this bike in 1977 with 200 miles on it for $500. 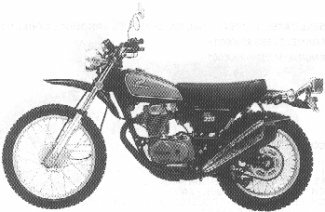 This is the bike I gained most of my early motorcycle experience on. I rode it everywhere – on the street and on the dirt. I owned it only 4 months to the day and sold it with 10,200 miles on it – that’s an average of over 80 miles per day for every day I owned it!